The Felipe Rivero $22 million contract extension is official, and if he pitches the way he did last year for #Pirates, it will be a steal. Per Nightengale, Rivero "will receive $2.5M in 2018, $4M in 2019, $5.25M in 2020, $7.25M in 2021 and $2 million signing bonus. He also has club option in 2022 and 2023 for $10 million or $1M buyout in 2022, 500K in 2023." Nightengale added that Rivero "will be paid $325,000 every year he wins the Trevor Hoffman/Mariano Rivera Reliever of the Year award, $150,000 for 2nd and $100,000 for third place, along with $50,000 each All-Star appearance." Rivero, 26, went 5-3 in 2017 with a 1.67 ERA, 0.89 WHIP, 21 saves in 23 opportunities and 88 strikeouts in 75.1 innings. It's been a busy few days for the Pirates, who traded starting pitcher Gerrit Cole to the Houston Astros on Saturday in exchange for pitchers Joe Musgrove and Michael Feliz, third baseman Colin Moran and outfielder Jason Martin. They also reportedly dealt outfielder Andrew McCutchen to the San Francisco Giants on Monday, per Rosenthal. There's about a zero percent chance Felipe Rivero finishes out his contract with the Pirates, no? If anything, the deal makes him that much more attractive to a contender. And he's a very rich man. Not a bad deal, really. On the other hand, trading three key players in the span of a few days might be more than Pittsburgh's fans could take. And given how team-friendly Rivero's deal is, keeping him to anchor the bullpen—even amidst a rebuild—makes financial sense for the Pirates, as the club may not be able to get Rivero's production at such a reasonable price elsewhere. But if the Pirates are undergoing a full rebuild around young talent, Rivero may fetch enough of a lucrative return to make dealing him the logical move. 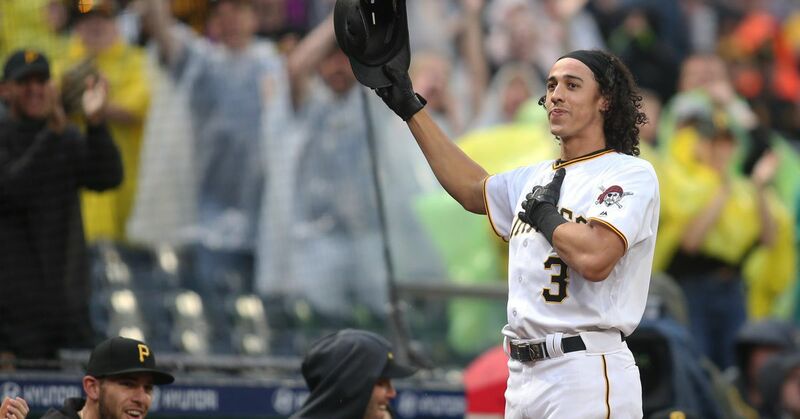 If the Pirates appear headed for a third straight losing season, Rivero will be one of the names to keep an eye on during the 2018 trade deadline.